Originally published in the April 2019 issue of Dramatics. Originally published in the March 2019 issue of Teaching Theatre. THESPIANS WOVE a bit of magic into the Poudre High School costume shop this fall. 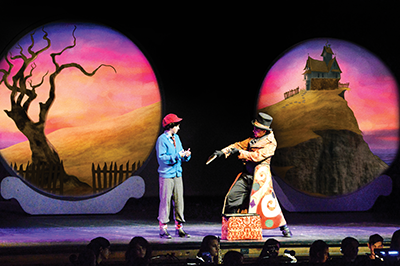 Anyone venturing down the stairs beneath the stage would find enthusiastic teams snipping and sewing garments for each kooky character in their October 2018 production of James and the Giant Peach. The shop was brimming with mounds of interesting fabrics, students belting showtunes, and endless handfuls of dark chocolate chips. At the helm of this lively vessel was veteran costume director Kari Armstrong, along with Joel Smith, Poudre’s master theatre teacher of 25 years. For the school’s production of Peach, these two worked with a collaborative team of student costumers, animators, collegiate mentors, and professional projection designers. As a result, student costumers and other technical designers were able to integrate their efforts in innovative ways. Originally published in the February 2019 issue of Dramatics. THESPIAN ALUM Jennifer Ashley Tepper comes across as the most extroverted librarian you’ve ever met. Equal parts curator, theatre buff, and social butterfly, she has devoted her life to collecting lesser-known cast albums, musical theatre trivia, and dedicated friends. 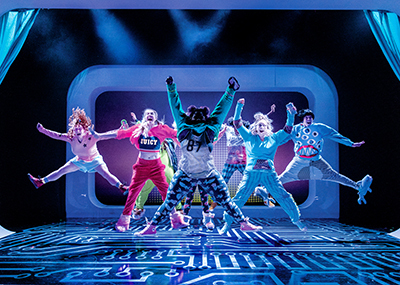 But how did an animated archivist in her early 30s end up producing the cult sleeper hit Be More Chill, set to open on Broadway in March? 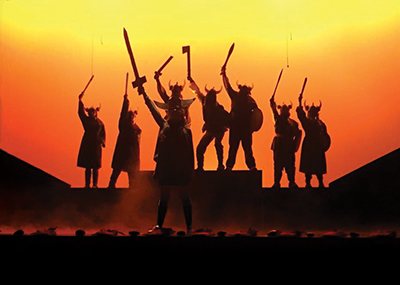 Like the production itself, Tepper’s professional path to this fan-favorite musical took some unexpected turns. Originally published in the January 2019 issue of Teaching Theatre. WHEN TEACHING THEATRE, I usually maintain decorum and keep the roar (as my colleagues describe it) at a fairly low decibel level in the end of the hall where my class is located. Today is different. Today is a special day: a final performance for students in our building. There is a lot of excitement, and nearby classes are generously flexible about the noise level. Originally published in the December 2018 issue of Dramatics. SUMMER IS A TIME to relax and unwind, unless, of course, you work in theatre. 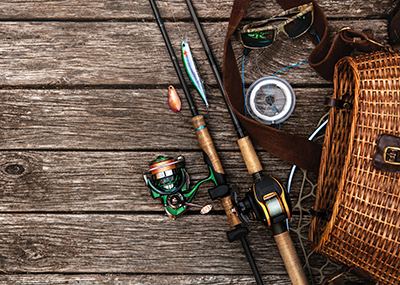 For aspiring professional actors, singers, dancers, and tech crew, summer is the busiest season of all. 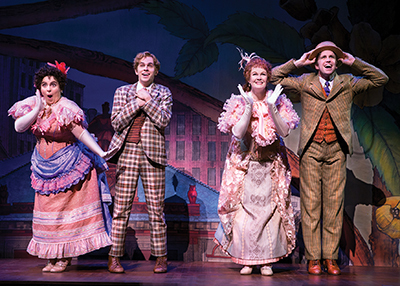 Entertainment organizations and summer stock theatres around the country cumulatively mount hundreds — maybe thousands — of performances in the warmer months, and many of their casts land those roles in the spring at a unified audition. Originally published in the November 2018 issue of Teaching Theatre. DIRECTING RANKS AMONG the lonelier professions in the theatre. Not only is it typically a solitary, high-pressure role, but it’s also difficult to gain experience in the field before making the leap into full-on directing. However, with the right collaborative approach, you can use student assistant directors to help them learn the ropes and to give you a hand with the nitty-gritty of the job and a shoulder to lean on when needed. Originally published in the October 2018 issue of Dramatics. IT'S THREE WEEKS before your audition, and you’re on the hunt. Okay, two weeks. One week? I understand what you’re facing. I was a high school (then college) theatre student without any idea where to start when it came to looking for monologues. I felt a certain embarrassment that I didn’t know more than I did. So, first of all, I want you to know that there is no shame in not knowing what you do not know at age 17 (or 20 or …). Now is when you begin. And it’s imperative that, if you intend to have a career in the theatre, you do begin. Originally published in the September 2018 issue of Teaching Theatre. THROUGHOUT HER 15 years teaching theatre at Marjory Stoneman Douglas High School, Melody Herzfeld has shown uncommon devotion to bringing theatre arts to her school and community. 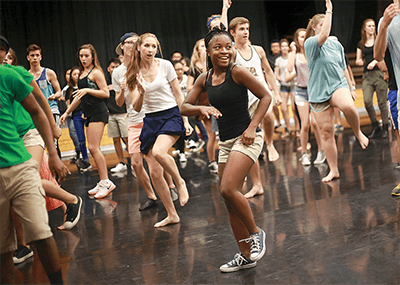 In her first year at the school, this director of MSD’s Thespian Troupe 4879 and Thespian alum (Troupe 3468, Hillcrest High School, New York) founded the Children’s Theatre Project for high school and middle school performers. As her troupe’s numerous Florida Thespian state selections and critic’s choice awards — not to mention regular school and community honors for Herzfeld herself — can attest, her career more than commends recognition. Originally published in the August/September 2018 issue of Dramatics. 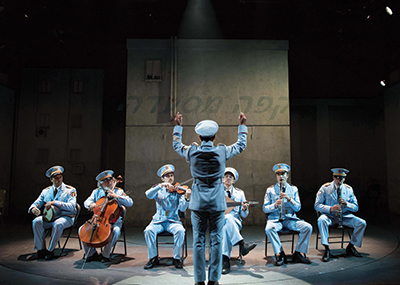 ERAN KOLIRIN'S 2007 film, The Band's Visit, is set in the deeply political geography of rural Israel in 1996. It tells the story of a small Israeli town where daily routines get disrupted by an unexpected visit from Egyptian musicians. Though aiming for Petah Tikvah, where they are scheduled to play a concert, the band members have found themselves — due to language miscues — in Bet Hatikva, where they stay overnight. Originally published in the July/August 2018 issue of Teaching Theatre. SO, YOU'VE DECIDED to invest in a 3-D printer, congratulations! Welcome … to … the future! 3-D printing is an incredibly powerful tool in manufacturing and designing props, set models, scenery, and even costume accessories. But at the end of the day, a tool is all that a 3-D printer is. It might as well be a hammer. And hammers are awesome — as long as you know how to swing them. Originally published in the June/July 2018 issue of Dramatics. 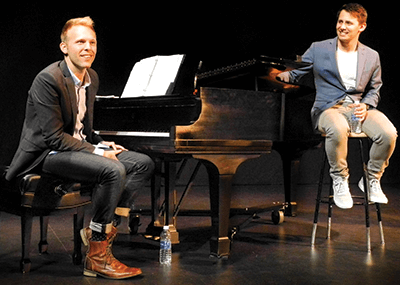 LAST JUNE, Findlay High School hosted a Tony Award viewing party to cheer hometown hero Gavin Creel, whose performance as Cornelius Hackl in the revival of Hello, Dolly! earned the Thespian alum a nomination for featured actor in a musical. 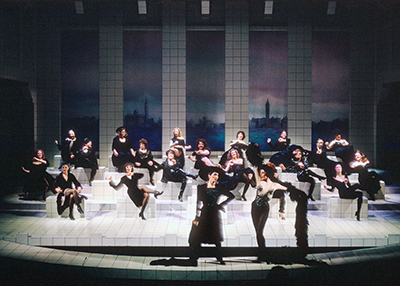 While the audience at Radio City Music Hall put on their Sunday clothes, the height of elegance in the Ohio school auditorium was a T-shirt emblazoned “Hello, Gavin!” And instead of Broadway swag bags, the prized souvenir was a Dietsch Brothers chocolate bar with a limited edition wrapper featuring eight Playbill covers highlighting Creel’s career. Originally published in the May/June 2018 issue of Teaching Theatre. 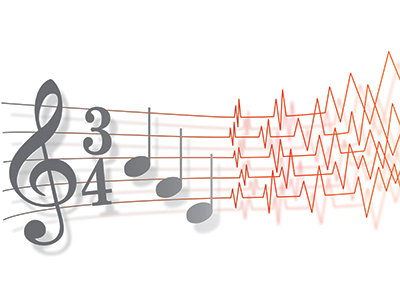 REAL LIFE HAPPENS to the beat of an ever-changing metronome. So, the most effective plays are those that closely approximate the truth of the sometimes wildly shifting rhythms of their stories. 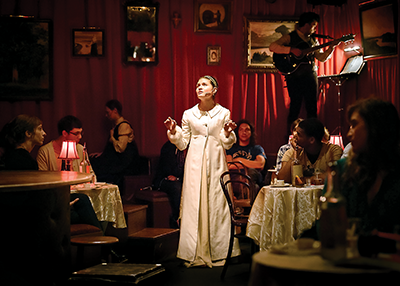 As a result, one of a director’s key tasks is to uncover and embrace the heartbeat embedded in the world of the play and cultivate that varied pulse throughout a production. Originally published in the April/May 2018 issue of Dramatics. 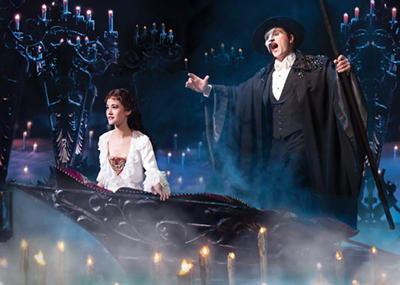 MUCH LIKE THE Phantom is to the Paris Opera House, technical theatre professionals are the Majestic Theatre’s invisible magicians, making the music and passion of Andrew Lloyd Webber surge to life. For a show that has lasted three decades, this takes not only hard work but also deftness and adaptability. JOSH RADNOR grew up in the Columbus suburb of Bexley, Ohio, where he was inducted into Thespian Troupe 2512. He studied theatre at Kenyon College, spending one semester at the O’Neill Center’s National Theater Institute, where he started playwriting. He continued his acting studies in the Graduate Acting program at NYU’s Tisch School of the Arts. 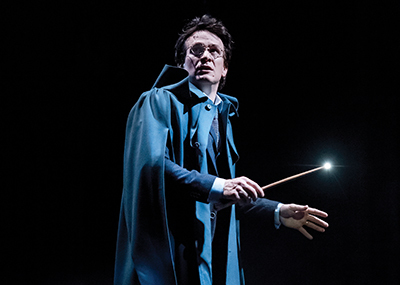 Soon after graduating in 1999 with an M.F.A., he landed his first Off-Broadway role and began working regularly in New York and regional theatre. His breakthrough came when he was cast as leading man Benjamin Braddock in the 2002 Broadway production of The Graduate. His television break came with the lead role of Ted Mosby in the 2005 series How I Met Your Mother. Originally published in the March/April 2018 issue of Teaching Theatre. 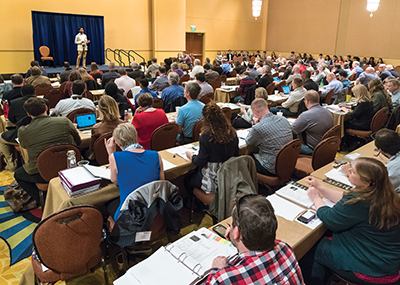 IF YOU'RE LIKE many high school technical directors, you may be charged with instructing and supervising nearly every technical aspect of a production. 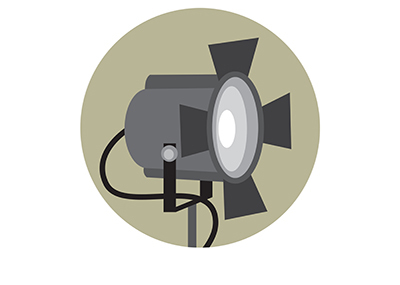 Perhaps you’ve had to quickly learn — and teach — the basics of theatrical lighting design and direction. 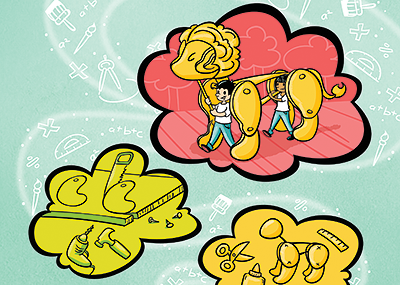 You’re a theatre education pro and, therefore, a quick study and jack-of-all-trades. You’ve got this. However, in the flurry of designs, checklists, rehearsals, and cues, be sure never to overlook matters of lighting safety. 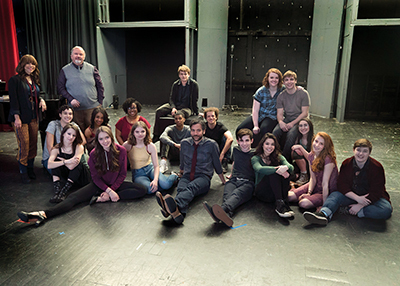 WHEN THEATRE EDUCATOR Robin Caporuscio wanted to produce The Miracle Worker, she was surprised to learn that many of her students were not familiar with the story. “They had never heard of it,” Caporuscio said. “They asked, ‘What’s that?’ I said, ‘That’s the story of Helen Keller.’ They said, ‘Who’s that?’ And I thought, ‘This is a good choice already.’” The director of Thespian Troupe 7919 at Armada High School in Michigan, Caporuscio scheduled the show to open on March 2, as part of her program’s 2017-18 season. IN THE 2013 New York Times bestseller Drama High, author Michael Sokolove describes Harry S. Truman High School theatre educator and director Lou Volpe as “that one teacher that anyone needs to get anywhere in life.” Musical Theatre International thought so too and chose Volpe’s Thespians to pilot school editions of the musicals Les Misérables, Rent, and Spring Awakening. 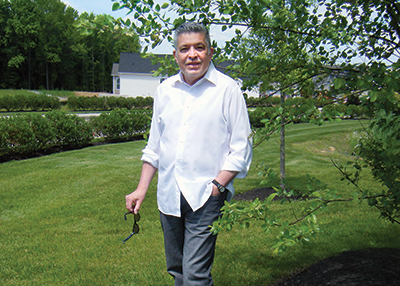 Volpe also directed Troupe 5008 in several main stage shows at the International Thespian Festival and reinvigorated the struggling working-class community of Levittown, Pennsylvania. Now this true story continues with Rise, a television show inspired by Drama High. The series will offer the theatre equivalent of Friday Night Lights, the NBC drama about a high school football team. Originally published in the February/March 2018 issue of Dramatics. SINCE 2012, Thespian alum Phillipa Soo has originated roles in three Broadway productions — a rare feat in the course of any actor’s career, let alone in a handful of years. Her dizzying journey began just months after she graduated from Juilliard, when she debuted Off-Broadway as Natasha in the world premiere of Natasha, Pierre & the Great Comet of 1812 at Ars Nova. The show soon transferred to the custom-built Off-Broadway venue Kazino, where it was seen by directors Thomas Kail and Pam MacKinnon, both of whom began thinking of Soo for new musicals they had in development: Hamilton and Amélie. Originally published in the January/February 2018 issue of Teaching Theatre. IN A SMALL WEST VIRGINIA TOWN in 1929, Fairmont State College professor Paul Opp, his associate Ernest Bavely, and East Fairmont High School teacher Harry Leeper met to discuss their idea of an honor society for high school theatre students. By 1989, one idea had led to another, namely the Educational Theatre Association, founded to oversee the rapidly growing International Thespian Society and organization for theatre educators. 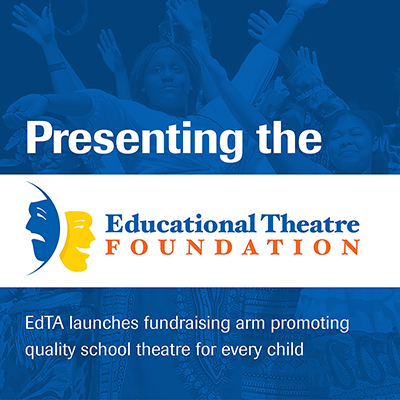 Now, 88 years after the first Thespian troupe was chartered, EdTA officially launches a philanthropic arm: the Educational Theatre Foundation. The simple, yet monumental idea driving this initiative: to bring quality theatre education to every child. Thanks to the abundant support of its board members and growing momentum of its programming, ETF is already well-poised to make this idea a reality. The foundation focuses on three key areas: building sustainable musical theatre programs in schools without them; improving school theatre programs through competitive and need-based grants; and nurturing the next generation of theatre educators and artists through individual student grants. Originally published in the December 2017/January 2018 issue of Dramatics. 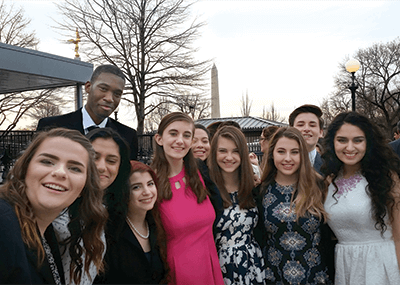 THESPIAN ALUM GRACE WHITE was in her senior government class when her phone buzzed. 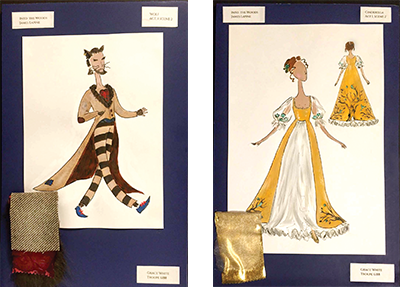 An email had arrived, congratulating her and offering a one-of-a-kind summer internship at The Costumer, a bustling costuming company that works on more than 1,000 theatrical productions annually. To celebrate 100 years in the business, The Costumer was inviting one lucky creative Thespian to intern at their headquarters in Schenectady, New York. White was both stunned and thrilled to get the offer. “I totally spazzed out of excitement,” recalls White, formerly of Troupe 6188 at Bothell (Washington) High School. 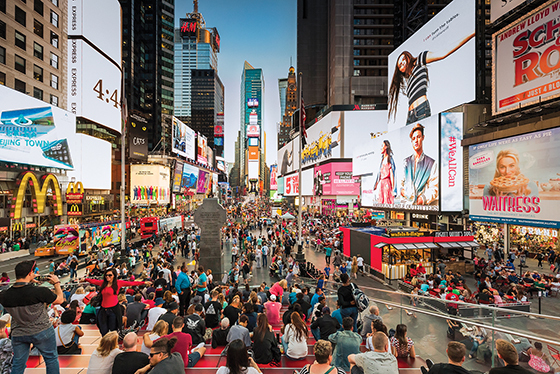 “I couldn’t believe it!” White spent two weeks working at the company’s upstate headquarters and another week in New York City, meeting costumers and observing backstage at Broadway and Off-Broadway productions. MATTHEW LOGAN FELT READY for his first year as Kingwood High School’s new theatre teacher. He had selected a season of plays and even begun rehearsing for the year’s opening production. 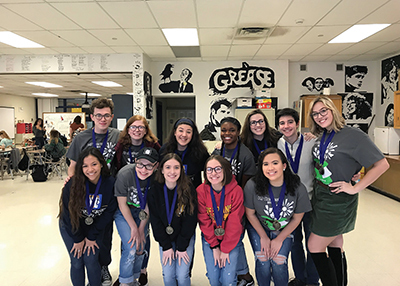 In keeping with Kingwood tradition, students eager to be fully fledged Thespians had earned points toward membership in Troupe 4185 by decorating, painting, andotherwise preparing the school’s theatre spaces for the coming year. But just a week after they put final touches on classroom walls, Hurricane Harvey made landfall in southeast Texas. The Washington Post reported that Harvey unloaded approximately 50 inches of rain — roughly a year’s worth — in a handful of days. Originally published in the January/February issue of Teaching Theatre. 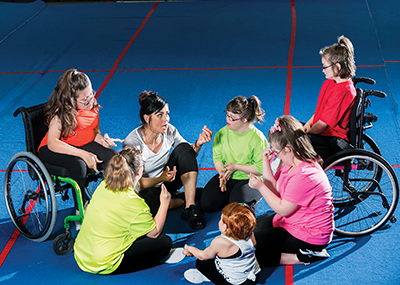 EVERY CLASSROOM — LIKE EVERY PLAY — is a world with a unique culture and internal logic. That said, young actors share certain struggles no matter the play or school. We developed the following taxonomy of common acting traps, primarily based on teaching theatre in two different environments: an inner-city community college and a four-year conservatory-style B.F.A. program. Certain beginning acting mistakes may be universal, since high school students exhibit these same tendencies. These missteps can become habits that impede storytelling and even defeat the playing of a scene, so they need to be addressed early. Originally published in the November 2017 issue of Teaching Theatre. Originally published in the September/October 2017 issue of Teaching Theatre. The world of wigs is complicated but crucial. After all, it’s unlikely that a good wig will garner any attention, but a bad one makes any production look instantly amateur. Whether curly or straight, synthetic or human, these diverse disguises can make or break the costuming of a show. 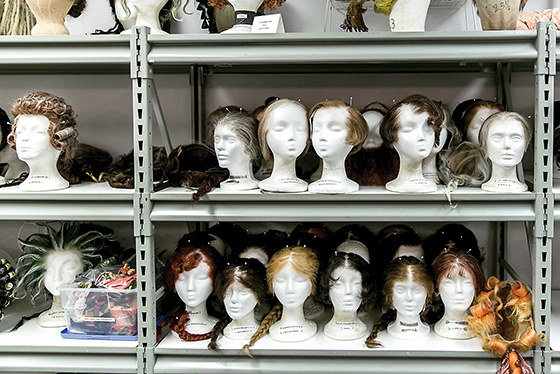 “You can’t just throw a bunch of wigs in a wig closet,” says Allison Lowery, a wig and makeup specialist and co-author of Wig Making and Styling: A Complete Guide for Theatre and Film. 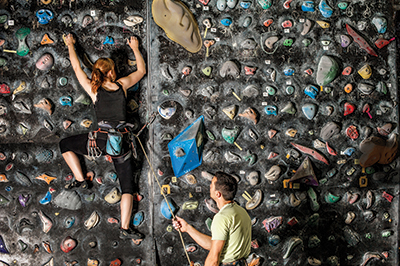 Caring for the pieces requires delicateness, diligence, and a little bit of love. Not sure how to give those wigs the TLC they need? Don’t wig out. The experts are here to help. Director Danielle Miller can’t believe the dead silence coming over her headset at 7:10 p.m. 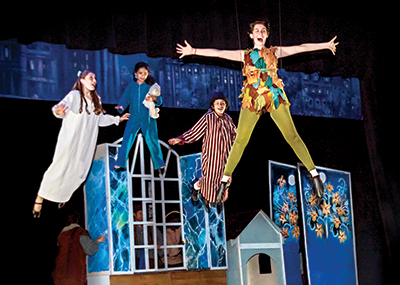 Her spring musical, Peter Pan, was meant to begin 10 minutes ago, but she held the house for a lobby full of frantic latecomers clamoring for tickets to the nearly sold-out performance. Are cast members in place? Why is no one answering? Dashing backstage, the high school theatre teacher discovers that the tiny 5-year-old girl playing Nana, the Darling family’s canine caregiver, is feeling sick — too sick to perform. The clock is ticking. Quickly, Miller enlists a new Nana: a recent alum of her theatre program. A production assistant on the show throughout rehearsals, the former student knows the part … well enough. Accepting the challenge, the new Nana hastily assembles a workable dog costume from fabric scraps in Miller’s costume closet. Originally published in the Summer 2017 issue of Teaching Theatre. 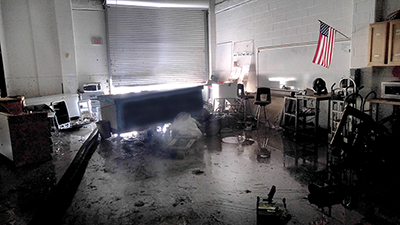 In a classroom at Bowling Green High School in Ohio, a group of theatre design students sat around, fruitless and demoralized. As their teacher, I had tasked them with designing a larger-than-life-size Aslan puppet for our production of The Lion, the Witch, and the Wardrobe. As a teacher, I am grateful for moments like these — both the resolution and the dejection that precede it. 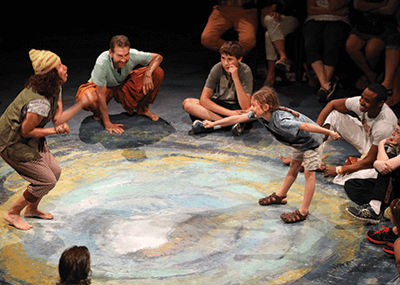 The course in question introduces students to concepts of theatre design and construction. In an age when digital media provides instant gratification, the experience teaches perseverance by giving students applied challenges with real-life consequences, which often require multiple disappointments before achieving success. The collaborative and hands-on content of this course requires students to take risks, fail, and push through those failures to achieve a cooperative, creative goal. Originally published in the May 2017 Dramatics. 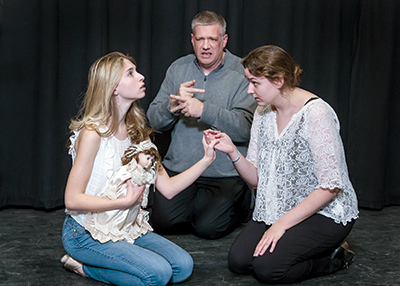 Amid the whirlwind of the past year, the pair also participated in the 2017 Junior Theater Festival West with EdTA’s Junior Thespians this February and in the 2016 International Thespian Festival last June, when Dramatics caught up with the busy duo. Originally published in the Spring 2017 Teaching Theatre. Creative arts instructors are often the only people tasked with year-round production schedules unique to teaching theatre, in addition to managing personal and family obligations on top of apathetic students, difficult parents, and a laundry list of other day-to-day responsibilities. 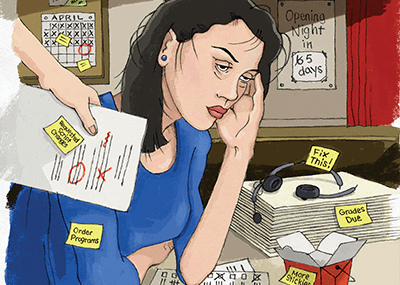 The pressure can become overwhelming for even the most seasoned educator, and there’s a very real need to look for ways to help teachers avoid burnout by managing critical stress and finding the resources they need to maintain a healthy, energetic approach to shaping future generations of students. Originally published in the February 2017 Dramatics. The 2017 International Thespian Festival is upon us! Event coordinators anticipate 4,500 delegates at this year’s event, taking place June 19-24 at the University of Nebraska-Lincoln, Festival’s home for more than 20 years. This year's event features 11 main stage performances, 29 Chapter Select Showcase productions, and more than 200 workshops on acting, dialects, stagecraft, costuming, improv, makeup, directing, musical theatre, playwriting, and other theatre-related topics for students and educators. Originally published in the December 2016 Dramatics. Hailey Brunson never thought a theatre course would lead her to the White House. The course, a partnership between Virginia’s Rock Ridge High School and Richard Bland College, a two-year junior college associated with the College of William and Mary, allows high school students to enroll simultaneously in two different academic programs and educational institutions. If successful, they obtain credit for their work from both schools, offering the opportunity to acquire college credit for work completed while still in high school. Originally published in the April 2016 Dramatics. 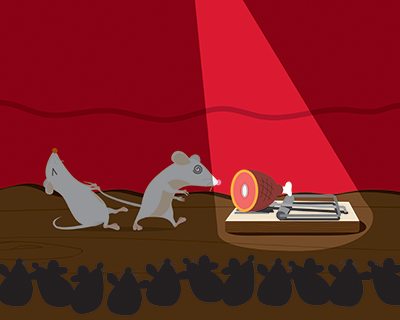 What does a neurological disorder have to do with Shakespeare? Kelly Hunter has been working with young people on the autism spectrum for years, developing a series of drama games based on the poetry, feelings, and themes found throughout Shakespeare. Called the Hunter Heartbeat Method, the games are designed to be accessible, enjoyable, and inspiring to children on the spectrum. Four centuries after Shakespeare’s death, Hunter’s work presents new questions about the plays and the characters we’ve known so well for so long: does Shakespeare possess a power that hasn’t been fully tapped? Can the simple rhythm of the language and the potent, uncut emotions coursing through his plays possibly serve as lifelines for those struggling to express themselves? Originally published in the spring 2016 Teaching Theatre. In September, comedian Drew Lynch, an alum of Thespian Troupe 5273 at Las Vegas Academy of the Arts, was named first runner-up on season ten of America’s Got Talent, just four years after a life-altering accident that nearly crushed his dream of performing. In 2011, Lynch was playing shortstop with a softball team from the comedy club where he was a ticket taker when the batter hit a ground ball that bounced and hit him in the throat. He went home and tried to sleep it off, but woke up with a permanent stutter. Lynch reflected on his journey during his keynote speech at the 2016 EdTA National Conference. Originally published in the March 2016 Dramatics. 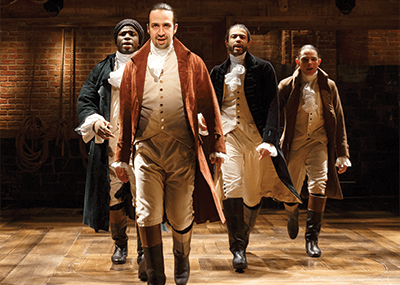 At thirty-five, with Hamilton, Lin-Manuel Miranda is at the top of the theatre world after only three Broadway musical credits, following his Tony Award-winning In the Heights and his contributions of music and lyrics to Bring It On. He’s already broken into film, writing cantina music for Star Wars: The Force Awakens and writing the score for Disney’s animated feature, Moana. He has performed at the White House. He’s welcomed at events from the Kennedy Center Honors to gatherings of historians who seem to love Hamilton just as much as die-hard musical theatre buffs. In the midst of all this attention and activity he’s still very connected to his roots. Anyone who follows him on Twitter can find him relating stories about his parents, his wife, his young son, his relatives, and his countless friends, as well as chatting with as many fans as he can. The experience of high school theatre never seems to be very far from Miranda’s mind. He speaks of it often, and his school theatre experiences are the explicit topic of our interview. Originally published in the February 2016 Dramatics. A former chair of the International Thespian Officers, Sarah Davenport completed a B.F.A. in acting in May of 2015 after four rigorous years inside the University of Cincinnati’s College-Conservatory of Music. As a result, Davenport is $50,000 in debt from student loans, both private and federal. She thinks she should be making monthly payments of around $300, but right now, she said, she doesn’t have enough left over each month for even $100 payments. The interest and the years of her life Davenport could possibly spend in debt are racking up, and collectors, she said, have started calling. Looking back, Davenport thinks that while she had a handle on the numbers, she didn’t fully understand the tremendous impact her student loan debt could have on her daily life and her long-term future plans for owning a home and having a family. Davenport is not alone. 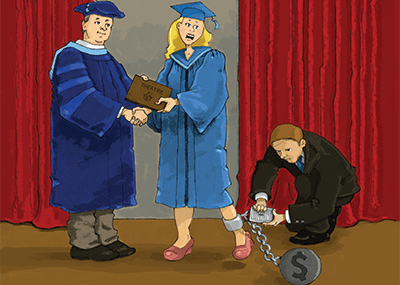 The cost of higher education is a hot topic right now, and Dramatics set out to understand what it’s like to be trying to launch a career as an actor while also managing a significant amount of student loan debt. Originally published in the January 2015 issue of Dramatics. 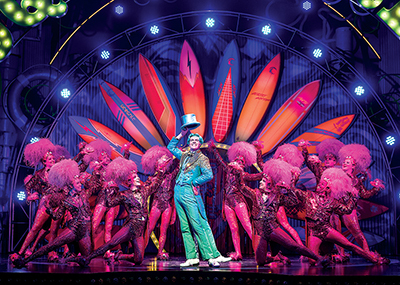 In 2014, William Ivey Long received his fourteenth Tony nomination for costume design. He has won six times, for Nine, Crazy for You, The Producers, Hairspray, Grey Gardens, and Cinderella. He is currently represented on Broadway with Cabaret and Chicago. In 2015, he will return for his forty-fourth season with The Lost Colony, North Carolina’s oldest seasonal outdoor drama. He has designed clothes for such diverse artists as Mick Jagger, Siegfried and Roy, and Joan Rivers as well as for ballets by Paul Taylor, Twyla Tharp, and Peter Martins. He was inducted into the Theatre Hall of Fame in 2005 and was elected chairman of the American Theatre Wing in 2012. Dramatics talked with Long as he was preparing for the premiere of the new musical Little Dancer at the Kennedy Center in Washington, D.C.